Drink Driving is one of the main causes of road deaths in South Australia. Each year, over a third of drivers and riders killed in road crashes have a BAC of 0.05 or more - the majority more than three times over the legal limit. Drinking alcohol affects driving skills and increases the likelihood that the driver will engage in greater risk-taking. You don't have to be drunk to be affected by alcohol. You might feel normal, but no one drives as well after drinking alcohol. Studies have also shown that a driver's risk of being involved in a casualty crash doubles for every increase of 0.05 above zero BAC. 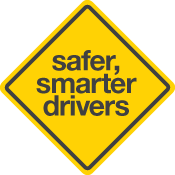 For inexperienced drivers, the risk at any BAC level will be even higher. BAC is a measure of the amount of alcohol in your blood. It is measured by the number of grams of alcohol in 100 millilitres of blood. For example, a BAC of 0.05 means 0.05 grams of alcohol in every 100 millilitres of blood. Body size - for the same amount of alcohol, a smaller person will have a higher BAC than a larger person, but this does not mean that a larger person should drink more. Gender - a woman will almost always have a higher BAC than a man of similar size who drinks the same amount; but this does not mean that men should drink more than women. Food consumption - food slows down the absorption of alcohol so, if you have not had a substantial meal before drinking, you will reach a higher BAC more quickly. Rate of drinking and types of drinks consumed - the quicker you drink and the greater the alcoholic content of the drink, the sooner you will reach a higher BAC. General health - if you are in poor health, your liver may be less effective in dealing with the alcohol you drink. 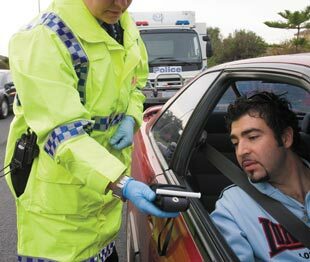 What is Random Breath Testing (RBT)? Mobile random breath testing allows police to require a driver to submit to a random breath test at anytime, including when they are involved in a crash, commit a traffic offence or appear to be driving under the influence of drugs or alcohol. Police can also breath test a learner driver's supervising driver. A driver will be asked to blow into a small device. It will immediately give an indication of the alcohol in the blood - if any. If a driver hasn't been drinking there is no problem. If it is a positive result, a driver will be asked to do a second test on another breath testing instrument. This reading will be used as evidence if over the legal limit. All police are able to perform RBT operations anywhere, anytime, across the State with the aim of reducing and preventing road crashes and making our roads safer. It is an offence to refuse, or to fail to comply with, a direction of a police officer in relation to an alcotest or breath analysis. The safest Blood Alcohol Concentration for driving is zero no matter what licence class you hold. A person who drives, or attempts to drive a vehicle while under the influence of an intoxicating liquor or drug (either prescription or illicit) and is not capable of effectively controlling the vehicle is guilty of an offence. Driving under the influence, more commonly referred to as DUI, is not the same as driving with the prescribed concentration of alcohol. Even if your BAC is less than 0.05, you may still be charged with DUI if your driving ability is impaired because of the effects of alcohol or other drugs. Your Blood Alcohol Concentration can only be measured accurately by either a Police breathalyser or a medically administered blood test. If you have been drinking, you have to allow time for the alcohol in your bloodstream to reduce before you drive. Cold showers, exercise, black coffee, fresh air or a big meal DO NOT help to reduce your BAC. If you have had a night of heavy drinking, you may be over the BAC limit for much of the next day - the more you drink, the more time you must allow before driving. Do NOT drive if there is any doubt about your BAC. Do NOT combine alcohol with drugs or other medicines. Do NOT drink alcohol when you are taking other drugs. Even small amounts of alcohol in combination with drugs or medications can reduce your ability to drive. This applies to medicines prescribed by your doctor, or bought in a supermarket or pharmacy.